Attaquer Arm Warmers is a classic cycling arm warmer made from the Legendary Italian-made Super Roubaix fabric. The soft, brushed finish of Super Roubaix provides loft, trapping warm air and giving you protection from wind and cold. 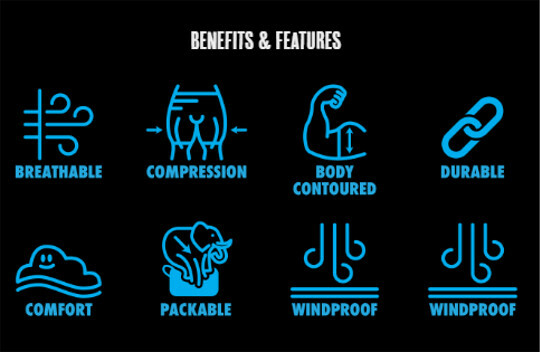 Sizing of Attaquer's arm and knee warmers is more generous than the Attaquer kits so we recommend sizing down, i.e. if you wear a Large kit, grab a Medium warmer. Women wanting to purchase warmers should size down twice, i.e. if you wear a Large Kit, grab a Small warmer. 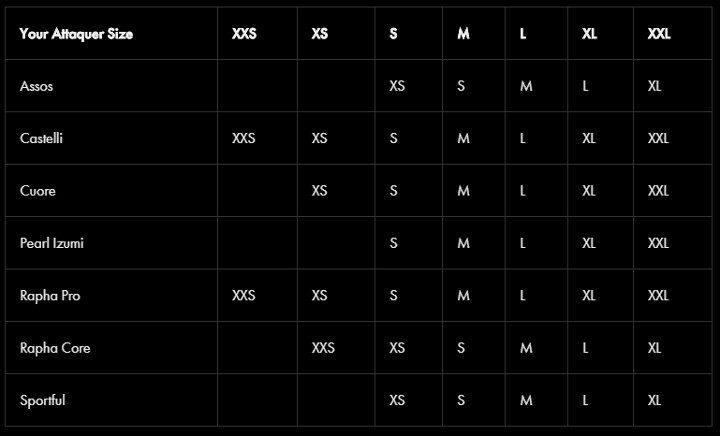 The table below provides an indicative comparison between Attaquer's sizing and a range of other brands, making it simple to find your Attaquer size.